In the year 2000, Bobby Hayden Jr. found himself living in a cardboard box at the corner of 31st and Broadway in downtown Los Angeles, California. 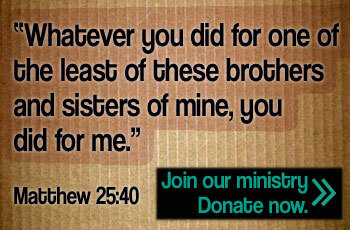 After giving his life to Christ and 4 years of sobriety, the talk of Bobby starting a ministry came to the forefront. 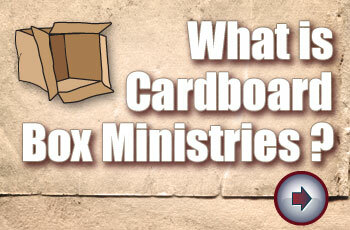 One day Bobby and his sister were chatting about what that ministry might look like, and both were marveling that it truly did start in a cardboard box. They looked at each other and knew immediately that a simple kraft box, temporal, but constitutive, providing shelter and protection until the hour of one’s redemption, was not only the perfect name for the ministry, but the only name. The degree of hopelessness that took root in Bobby Hayden, Jr.’s life during homelessness and addiction was far darker than many people can even imagine. With the light of Jesus Christ, Bobby realized that through Him, truly all things are possible. (Philippians 4:13) Bobby uses his gifts in the hope of opening the door for Jesus to come in and do the same thing in other peoples’ lives. Cardboard Box Ministries wants to see the transforming power of Jesus take root in all of the lives they touch, with just a single seed of hope. I was a 36 year old prostitute, drug addict living on the streets of Ft. Lauderdale. I believed in God, but always thought God didn't care about me. I ended up in a psychiatric unit filled with disease, bruises and complete brokeness.